Dentists don’t just play a vital role in looking after your oral health; they help to avoid a range of general health conditions too. At Aura Dental in St John’s Wood our skilled and experienced dentists use early detection techniques to spot signs of problems before you have noticed anything is amiss yourself, making treatment much simpler and easier. The dentists at our St John’s Wood clinic are passionate about preventative dentistry. That means, in an ideal world, stopping any problems before they start, or at the very least treating them before they have the chance to become serious. Gum disease and tooth decay are the two leading causes of tooth loss, but unfortunately they often don’t have any noticeable symptoms until they have become a serious problem. You may notice blood in the sink when you brush your teeth – an early indicator of gum health problems – whilst with tooth decay the first symptom is often pain, although some people detect a cavity themselves with their tongue. Our St John’s Wood dentists will use x-rays to check inside your teeth and under any pre-existing restorations such as crowns, fillings, or onlays. Often a tooth can look healthy on the outside but have early signs of decay inside. They will also be able to spot early signs of gum disease. Several medical studies have linked gum disease to a range of general health problems, which range from heart and lung disease to rheumatoid arthritis, strokes and diabetes to low birth weight in babies whose mother suffered from a serious form of the condition. By helping to prevent tooth loss, your St John’s Wood dentists will also help to ensure that you can eat a healthy and balanced diet, maintaining good nutrition. Tooth loss can also damage your body image and confidence, leading to feelings of social isolation and loneliness, and other problems with your mental health. Dentists are passionate about health, and will always provide you with fully customised treatment designed to suit your individual clinical situation and lifestyle. This entry was posted in Oral Health on 5th August, 2016 by Aura Dental. If you decide to use dental implants to replace your missing teeth, you choose so much more than just a beautiful smile. Aura Dental in North West London offers a range of implant-based treatments, which can replace anything from one to all of your natural teeth – permanently. Dental implants have numerous benefits when compared to both traditional dental bridgework and standard dentures. Of course, their permanence is a key factor, but another important point to consider is that implants are the only way that your dentist can replace the roots of missing teeth. Our tooth roots help to keep our jaw bone dense and healthy as well as holding our teeth in position. When several or all of the natural teeth are missing the jaw bone will begin to resorb (shrink), which as well as leading to traditional dentures becoming loose can cause a prematurely aged appearance to the face by changing its structure and causing the skin around the jowls to sag. There are two options for dental implants treatment at Aura Dental in North West London. The first is for patients who have lost a single tooth – for example, through dental trauma. In this situation, a single implant is placed and a crown is attached. Prices for this option begin at £2,300. The second option at our North West London clinic is ideal for patients with multiple missing teeth, or those who have lost all the teeth in one jaw. In this scenario your dentist will place a series of dental implants and attach a bridge, with prices beginning at £2,750, depending on how many implants you need. Unlike traditional dental bridgework, implant-retained bridges don’t need any support from adjacent teeth. They can also support more teeth – whilst a standard bridge will contain one or two teeth, an implant-retained bridge can replace all the teeth in one jaw. At our North West London dental practice most people only need local anaesthesia for the placement of dental implants. However, for nervous patients we offer both dental hypnosis and conscious sedation, both of which can help you beat your fears for good. This entry was posted in Dental implants on 3rd August, 2016 by Aura Dental. In the 21st Century, there are many alternatives to metal braces when it comes to straightening your teeth. At Aura Dental in North West London, we offer treatment with both discreet fixed braces and clear, removable aligners, designed to give you the straighter teeth you’ve always wanted without the world having to know you are undergoing treatment. There are many benefits to be gained from teeth straightening treatment, and not all of them are aesthetic. It is easier to keep better aligned teeth clean, because there are fewer gaps in which food particles can become trapped and dental plaque can build up. As long as you pay regular visits to your North West London dentist and hygienist, straightening your teeth can significantly improve your oral hygiene, and can reduce your risk of the two most common causes of tooth loss – gum disease and dental decay. When you come into Aura Dental in North West London for a teeth straightening consultation, your dentist will conduct a thorough clinical examination to determine the best course of treatment. This will depend upon the type and amount of correction that’s required, and may involve the use of aligners or braces. Six Month Smiles are cosmetic, tooth-coloured braces specifically designed to work on the “social six” teeth – the front teeth that are on show when you flash a smile. It is often these teeth that adults are interested in straightening at our North West London practice, and as the name suggests treatment with Six Month Smiles is completed in an average of just half a year. This is a single use removable aligner that works rapidly to correct issues such as crowding or protrusion with the front teeth. Average treatment times with the Inman Aligner range from just six to 18 weeks, making it the fastest teeth straightening option at our North West London dental practice. This option sees your dentist prescribe a series of clear, removable aligners that fit snugly over your teeth to guide them into a better position. This entry was posted in Braces on 29th July, 2016 by Aura Dental. Did you know that dentists don’t just play a vital role in protection your oral health, but also in looking after your general health and wellbeing, too? Aura Dental in St John’s Wood offers a full range of general dental services for all the family, from toddlers whose first teeth have just started to emerge to older people in need of tooth replacements. Our St John’s Wood dentists also provide special, customised care for particular groups, including pregnant women, teenagers, those who have weakened immune systems and are more at risk of gum disease, and people who have lost all of their natural teeth. Think about dentists and you probably envisage friendly clinicians checking out the health of your teeth and gums. Healthy teeth and gums are vital to maintaining good overall health. Gum disease has been linked by numerous studies to a range of general health conditions, including heart and lung disease and low birth weight or premature birth for babies whose mothers suffered from a severe form of the condition. When you come to our St John’s Wood dental practice for a general check-up, your dentist will perform a thorough clinical examination and will address any oral health concerns. Dentists can spot the very early signs of conditions such as gum disease and tooth decay, often before you’ve noticed anything yourself. The dentists at our St John’s Wood practice will also use x-rays as needed to check inside the teeth and below any existing restorations such as fillings or crowns. Dentists are also able to spot early warning signs of mouth cancer. We will screen for mouth cancer as part of your standard dental check-up at our St John’s Wood clinic. Oral cancers can occur anywhere in the mouth and still have a high ratio of deaths to number of cases diagnosed, so if your dentist spots anything untoward they will refer you immediately to a hospital consultant for further investigation. We also offer emergency dental appointments at our St John’s Wood clinic. We will always try to get you in to see one of our dentists on the same day when possible. This entry was posted in Gum Health on 27th July, 2016 by Aura Dental. Cosmetic dentistry offers a wealth of ways to improve the appearance of your smile. At Aura Dental in St John’s Wood we offer a wide range of cosmetic dental treatments both large and small, all designed to improve the way your smile looks – and with it boost your body confidence. Nearly half the adult population of the UK – some 48% – are unhappy about some aspect of their current smile. The biggest complaint, at 64%, is about the colour of their teeth, but cosmetic dental concerns can include issues with tooth alignment and spacing, length of the teeth or gums, chipped, cracked, or worn teeth, or with visible restorations such as metal fillings. Cosmetic dentistry can solve all of these issues and more. If you are unhappy with anything about your present smile, we invite you to join us at Aura Dental in St John’s Wood for a cosmetic dentistry consultation. We are confident that we will soon have you smiling again. When you come into our St John’s Wood clinic for a cosmetic dentistry consultation, the first thing your dentist will do is to get to know a little bit about you, including what it is you dislike about your current smile, and what your dream smile would look like. After a thorough clinical examination, your dentist will talk you through all of the suitable treatment options, and will answer any concerns or questions you may have. The key thing to remember about cosmetic dentistry is that it is all about you. What the ideal smile means to one person will be completely different to what it means to the next. At our St John’s Wood dental clinic our cosmetic dentistry team will create the perfect smile for you. You may require one treatment, or a combination of several from our extensive cosmetic dentistry menu. Whatever your requirements, your St John’s Wood cosmetic dentist will work closely with you and will involve you at all stages of your treatment, so that you know exactly what to expect and remain happy with your choices. You will also get a fully customised treatment plan. This entry was posted in Cosmetic Dentistry on 22nd July, 2016 by Aura Dental. Dental implants are an excellent long-term solution to tooth loss. Aura Dental in North West London offers implant treatment to replace one, some, or all of your natural teeth, providing an option that is as functional as it is aesthetically pleasing. The problem with traditional tooth replacements – be they dentures or a bridge – is that they only replace the crown parts of lost teeth. Missing tooth roots lead to shrinkage of the jaw bone, which can make dentures loose and can change the appearance of your face, giving you a prematurely aged look. Whilst sometimes called replacement teeth, dental implants are more accurately replacement tooth roots. They are placed in direct contact with your jaw bone in a minor oral surgical procedure, which our North West London dental practice is fully equipped to carry out under local anaesthetic or conscious sedation, depending on your preference. Our North West London clinic also offers the services of a fully-qualified hypnotist for nervous patients. Hypnosis can help you to get any treatment required, and can also provide you with self-management techniques to keep you in good dental health going forward. There are two options for implant-retained replacement teeth at Aura Dental in North West London. The first is a single implant and crown, whilst the second is a series of dental implants with an implant-retained bridge attached. Unlike a standard dental bridge, which requires support from your other teeth, implant-retained bridgework relies solely on dental implants for support. Bridges supported by dental implants can also contain more false teeth – in fact, at our North West London practice we can replace a full jaw of teeth with a bridge attached to precisely placed and angled dental implants. As soon as your dental implants are in place, the process of osseointegration begins, during which your implants form a strong bond with your jaw bone. After this healing period is complete, your North West London implant dentist will attach your permanent new teeth. Enjoy an active social life, with no worries about slipping dentures. This entry was posted in Dental implants on 20th July, 2016 by Aura Dental. Dentists should be considered essential players in your overall healthcare routine. Aura Dental in St John’s Wood offers a full range of general dental treatments, with the focus firmly on preventative dentistry. The aim of preventative care is to avoid problems arising in the first place; and to treat them promptly and effectively if they do happen. The majority of people understand the importance of dentists when it comes to oral health. A strong oral care routine, after all, involves team work between your dentist, your hygienist, and yourself. Fewer people realise that dentists also play a vital role in the fight against other conditions, however. Tooth loss – which can be caused by dental decay or gum disease, as well as through accidents and injuries – is bad news for your overall health because if can affect your ability to eat a nutritious diet. This can lead to all manner of preventable conditions. Gum disease has also been linked to heart disease, diabetes, and rheumatoid arthritis, among other conditions, so it is very important to prevent it or treat it promptly should it occur: dentists and hygienists both play an important role in the fight against gum disease. We welcome new patients of all ages for general dental consultations at our St John’s Wood practice. Your whole family requires good oral healthcare, and our team of dentists at Aura Dental can provide special treatment for children, teenagers, adults, pregnant women, and older people, with all treatment tailored to the individual’s requirements. When you come in for a general dental check-up at Aura Dental in St John’s Wood, one of our dentists will take your medical and dental history (please make us aware of any conditions or medications that may affect treatment choices) and will perform a thorough clinical examination, including taking x-rays as necessary to aid with diagnosis. If you require further treatment, your dentist will create a customised treatment plan that will detail the order and predicted length of any procedures, along with estimated costs. This entry was posted in Oral Health on 15th July, 2016 by Aura Dental. Cosmetic dentistry offers a wealth of ways to create the smile of your dreams. Aura Dental in St John’s Wood offers a full range of cosmetic treatments, so no matter what you dislike about your current smile, our team can help you to improve it. Almost half of the adult population in the UK is unhappy with the way their smile looks, and the most common complaint is discoloured teeth. Cosmetic dentistry has several treatments on offer designed to brighten up your smile, so if the current colour of your teeth is getting you down, why not come into our St John’s Wood practice for a consultation with a cosmetic dentist? Treating tooth discolouration successfully depends on identifying the nature and cause. It may surprise you to learn that the most common cause of stained teeth is dental plaque; 64% of us have visible plaque, and as well as being unsightly this is damaging to your dental health, potentially leading to gum disease, tooth decay, and bad breath. A hygiene appointment at our St John’s Wood clinic can rectify this problem. As well as cleaning your teeth professionally, your hygienist will help you to modify your home brushing and flossing techniques to ensure it doesn’t happen again. For everyday stains – such as those caused by coffee or smoking – teeth whitening can help. This is the most popular procedure in cosmetic dentistry and is both safe and effective when delivered by a dentist. It involves the use of special bleaching gel to gently remove common tooth stains. Permanent stains can be improved by using porcelain veneers, which are thin shells placed over the surfaces of the teeth to improve their appearance. Veneers also work well in cases of minor spacing or alignment issues, and for chipped front teeth. They are a popular cosmetic dentistry choice at our St John’s Wood clinic. Larger issues with tooth alignment can also be helped by cosmetic dentistry. We offer both discreet braces and clear, removable aligners at our St John’s Wood dental practice. These will move your teeth to a better position without being immediately obvious. This entry was posted in Cosmetic Dentistry on 13th July, 2016 by Aura Dental. By choosing dental implants, you could choose to end your denture worries for good. Aura Dental in North West London offers a range of implant treatments, designed to replace anything from one to all of your natural teeth with unrivalled functionality and aesthetic appeal. 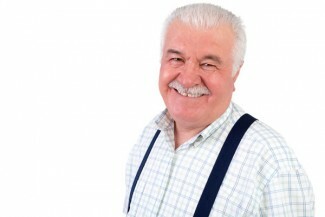 Whilst modern dentures are more natural than their predecessors in terms of both appearance and function, nevertheless a lot of denture-wearers still experience issues with loose false teeth. This is at least in part caused by resorbtion (shrinkage) of the jaw bone, which can also be accompanied by gum recession. Bone resorbtion happens when several or all of the natural tooth roots are missing from one or both jaws. As well as making your dentures loose, it can make future placement of dental implants more complex (although still achievable) and can even lead to changes in the entire structure of your face. Restrictions on your social life and increased anxiety caused by a fear your teeth might fall out. 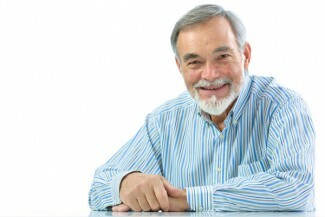 At Aura Dental in North West London we can alleviate all of these problems with dental implants. Dental implants are titanium tooth roots placed directly in contact with your jaw bone. Your North West London implant dentist can place your implants under local anaesthetic, oral or intravenous sedation, depending on your requirements. In most cases, for denture wearers, between four and six dental implants per jaw is enough to support a full denture. We do also use implant-retained bridges at our North West London clinic; your dentist will talk you through your options during your dental implants consultation. Dental implants require a few months to heal and integrate with your jaw before a permanent denture/bridge is attached. You should be able to wear your old dentures during healing, so won’t be left toothless, although you should avoid wearing them for the first couple of days. This entry was posted in Dental implants on 8th July, 2016 by Aura Dental. In 2016, braces do not have to mean metal, and orthodontic treatment need not always involve a fixed brace at all. Aura Dental in North West London offers a number of discreet ways to straighten your teeth, whether you require rapid cosmetic correction or more extensive treatment. We welcome new patients for consultations. Crooked teeth are one of the most common complaints heard by a cosmetic dentist, and at our North West London clinic we understand that having teeth out of alignment can cause you to be embarrassed about your smile, hiding it away in public. But we also understand that many adults will balk at the thought of traditional metal braces, with their glaringly obvious nature and often lengthy treatment times. That’s why we are proud to offer more discreet treatment options, because we believe everyone deserves a beautiful smile of which they can be proud. When you come for an orthodontic consultation at Aura Dental in North West London your dentist will perform a thorough clinical examination before recommending the best course of treatment. There are two types of orthodontic appliance available at Aura Dental in North West London: fixed braces, and removable aligners. Each system has its merits and is more suitable for different types of orthodontic correction. Your dentist will talk you through all the relevant treatment options to suit your needs, and will help you to make an informed choice. This popular system of cosmetic braces is designed to work quickly and discreetly on the front teeth in your smile line. Comprised of clear brackets and tooth-coloured wires, Six Month Smiles braces are very discreet. Designed for rapid correction of protruding front teeth and adult relapse, this single removable aligner should be worn for 16-20 hours a day. Treatment takes from six to 18 weeks, making it the fastest-acting orthodontic option at our North West London clinic. This system of clear aligners can correct more extensive orthodontic issues. You can remove the aligners for short periods, for example to brush your teeth. This entry was posted in Braces on 6th July, 2016 by Aura Dental.